You know when it comes to baby products I love certain things, one being is a baby monitor because it makes me feel like an uncover spy. The next baby essential we always love to play around in stores with are strollers. 1- The convenience– it takes absolutely no room in the trunk. We can fold it up when we go out to say dinner and slide it under the table without having a huge piece of metal blocking everyone from walking through. 2- Absolutely no reclining feature so he doesn’t ever sleep in there, exception of the two times that he was beyond tired and knocked out. 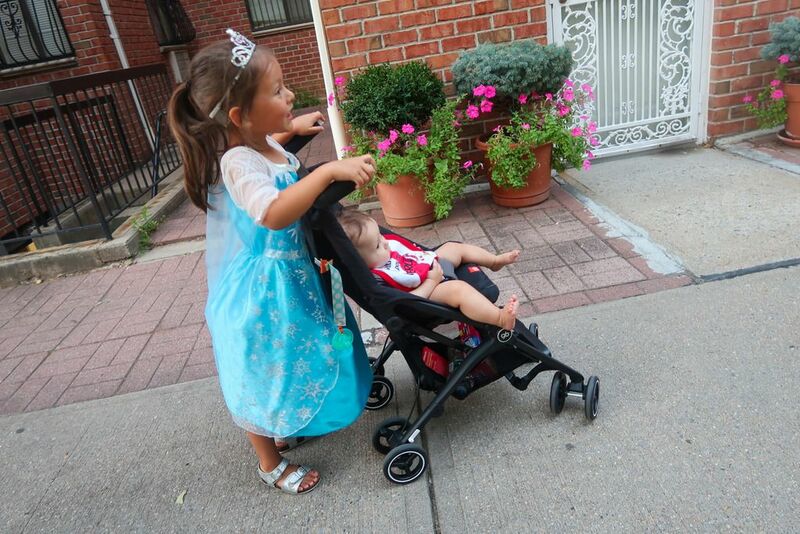 Overall, it is a pretty amazing stroller. One thing I didn’t mention was the storage under the stroller– I’m always a critic when it comes to that, but the diaper bag which is actually a purse doesn’t do too bad on my shoulder. So the storage under the stroller is just fine for me. 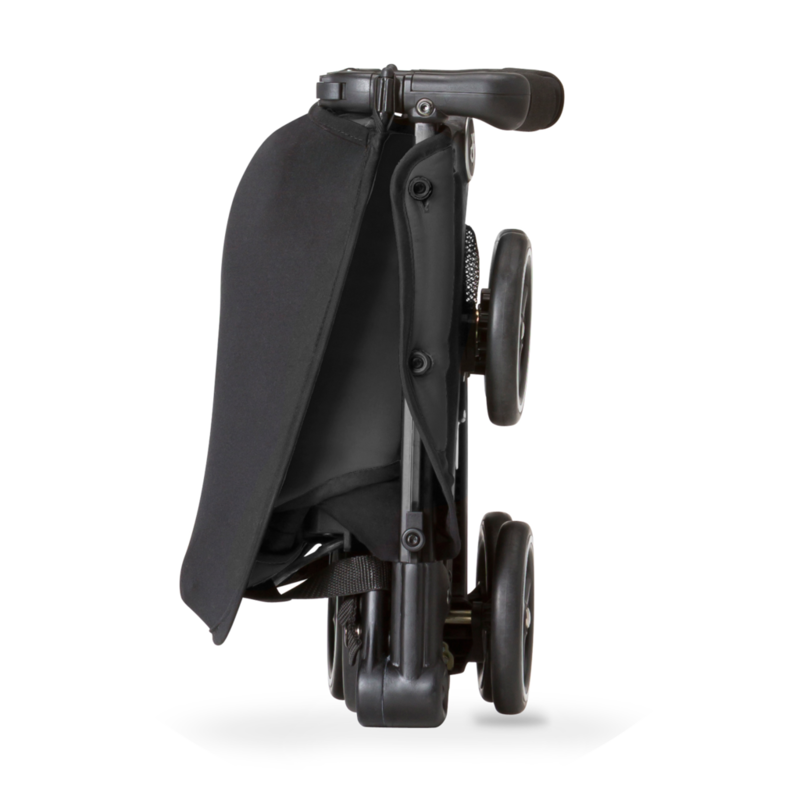 We’re taking it to Chicago today as you read this and are excited that we don’t have to bring a huge bulky stroller with us. I do hope that GB considers those two CONS and can come up with a solution! 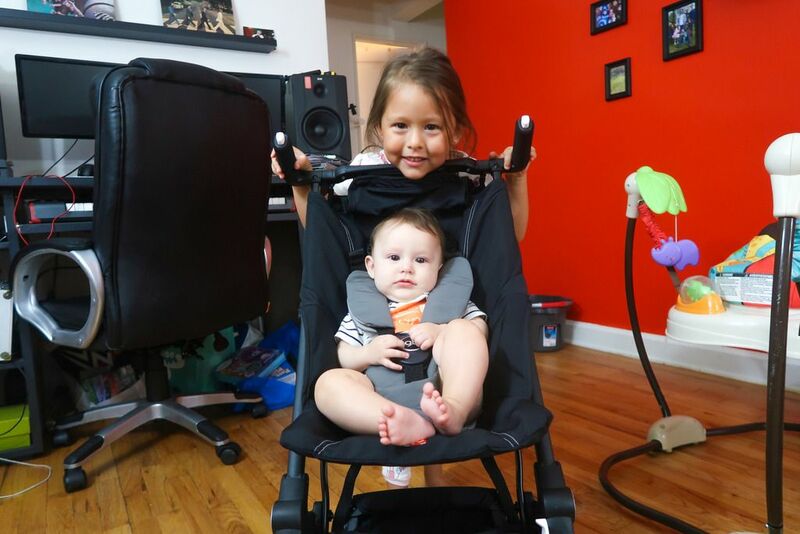 What are your thoughts on this stroller Would you drive it around?